Daniel Scoggin is co-founder and Chief Advancement Officer of Great Hearts America. He is a director on both the Great Hearts Arizona and Great Hearts America board of directors. 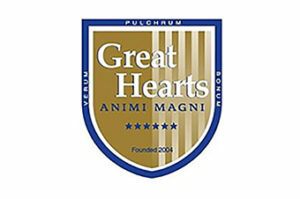 In 2004, Scoggin authored the original Great Hearts business plan. 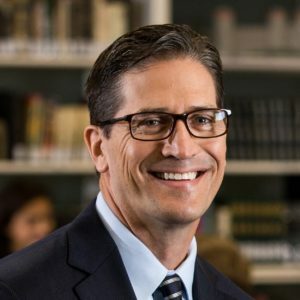 From 2004 to 2015, he directed the network’s growth and parent demand, catapulting a fledgling startup of just 200 students at one school in Phoenix to a thriving network of academies throughout the region. In 2012, Mr. Scoggin was invited by a local funding consortium to lead the first out-of-state expansion of Great Hearts to Texas. He established the first campus in San Antonio in 2014 and is spearheading the network’s growth throughout San Antonio and North Texas. Serving as superintendent, he oversaw four school openings in 2015. Mr. Scoggin holds a Ph.D. from Claremont Graduate University, attended the Stanford University Executive Education program, and was named a Piper Fellow and Pahara-Aspen Fellow. Dan Scoggin on "Filling a school campus with purpose"
Daniel Scoggin on "Character is a 'Yes'"
Character does not involve just saying “no” but saying “yes” to a truth larger than oneself.